When I first drove past it last month, I did a double take then turned my focus back to the road to prevent a fender bender in a busy intersection. Did I just see a wooden barrel the size of a building? Or what if it WAS the building? A little…odd. So, of course I asked Drew to help investigate. We packed up some gear on Sunday morning and went in search of a large barrel. 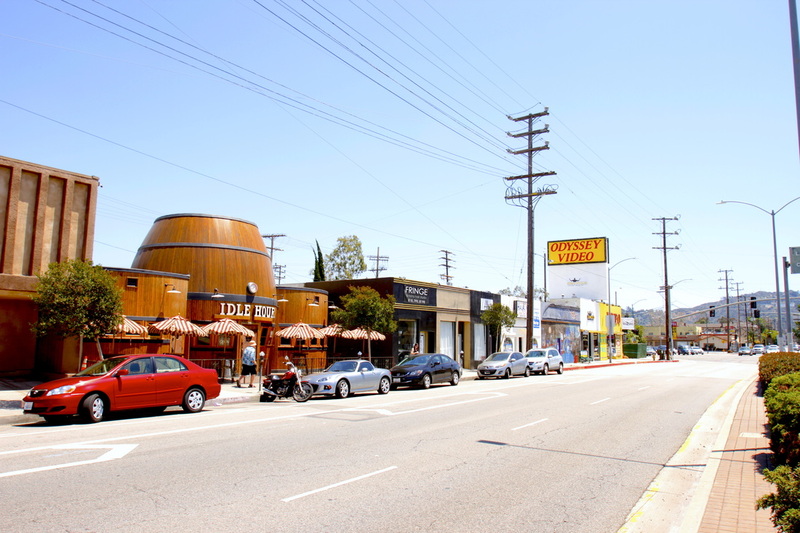 The intersection of my almost-hit-the-brakes double-take is Lankershim and Vineland. We spotted the barrel instantly and parked on a side street called Peach Grove. ​It was a beautiful day. Walking down Peach Grove and seeing some lovely architecture of the homes would have been worth the visit. But we were also out to see a large barrel. And there it was…in between Fringe Hair Studio and Mark’s Paint Shop. 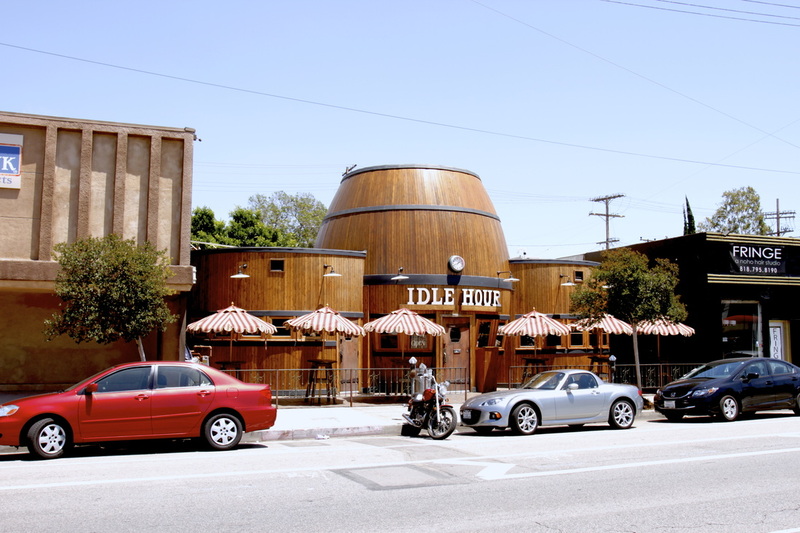 The “large barrel” is called Idle Hour.